For the first time EVER! 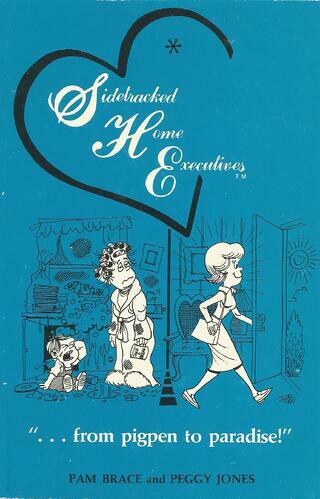 Sidetracked Home Executives is an eBook! The original book that launced a million SHEs, Sidetracked Home Executives... from pigpen to paradise is finally an e-book! Pam Young and Peggy Jones were two desperately disorganized sisters. They started each day with the best of intentions, but they never made it because they were “Sidetracked Home Executives” caught in the disorder of misplaced priorities, half-completed chores, and undirected energies – two smart ladies who’d never used their heads when coping with their homes. So, they analyzed their lives and set up a rotating, 3x5 card system that scheduled their chores on a daily, weekly, and monthly basis. With a combination of the sympathy of a fellow former slob, and the firm resolution of a for-your-own-good mother, Pam and Peggy teach others how they too can get organized.